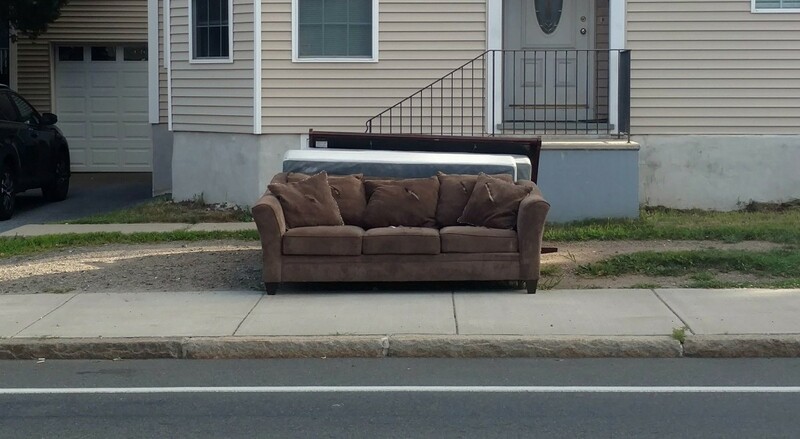 A sofa and mattresses on the street in front of an apartment building. Image credit: walknboston. Licensed by CC by 2.0. There’s an eviction crisis in the United States, and it’s disproportionately affecting communities of color. Kathryn Howell and Ben Teresa are part of the RVA Eviction Lab which gathers data on eviction rates. They say high eviction rates destabilize communities, cause high turnover in student populations, and reduce community engagement and access to community networks and jobs. People who live on or near American Indian reservations are being denied access to consumer credit. Valentina Dimitrova-Grajzl says redlining is a factor. Dimitrova-Grajzl has been named a 2019 outstanding faculty member by the State Council of Higher Education for Virginia. Michael Lewis talks about his newest book, The 5th Risk, about the consequences of giving people control over our government agencies who have no idea how they work. Michael Lewis is the author of The Blind Side, Moneyball, Liar’s Poker, and The Big Short, among many others. Evicted! For a printable version of this transcript in PDF format, click here. Sarah McConnell: The film 99 Homes follows the family of a Florida man played by Andrew Garfield. As they’re evicted from their home, Michael Shannon plays the real estate broker who preys on people who miss their rent or mortgage payments. Deputy Anderson: I’m Deputy Anderson with the Sheriff’s department. And we’re here to serve you a court-ordered eviction. Deputy Anderson: Sir, Ma’am, do you have any weapons on your body or anywhere in the house that we need to know about? Mr Carber: Morning Sir, Ma’am, my name is Rick Carber, I’m a licensed real estate broker. Mr Carber: I’m very sorry to tell you that this home has been foreclosed on, and officially transferred to the bank. I’m going to need you to please vacate the premises. Speaker 3: No, I understand what you’re saying Mr. Carber, and we’ve been getting our eviction notices, I was in court yesterday. The judge informed me that I got 30 days to file for appeal. That’s what I intend to do. Mr Carber: What I’ve received is a court order signed by a judge. It says you’re to vacate these premises today. Sarah McConnell: There is an eviction crisis in this country. Soaring rents and low wages have hit the poorest families hard, leaving many people just a car repair or hospital visit away from missing a payment, and possibly out on the street. Sarah McConnell: From Virginia Humanities, this is With Good Reason, I’m Sarah McConnell. Today, the eviction crisis. Later in the show, people who live on or near Indian reservations are being denied access to credit. But first, a study led by Pulitzer prize-winning sociologist Matthew Desmond at Princeton’s Eviction Lab looked at evictions on a national scale. Surprisingly, it showed that half of the 10 cities with the nation’s highest rates of eviction were in Virginia. Kathryn Howell and Ben Teresa are part of the RVA Eviction Lab at the Douglas Wilder School of Government and Public Affairs at Virginia Commonwealth University. Kate and Ben, how large is the eviction problem for renters in the US? We know many people own their own homes, many others rent. But eviction? Kathryn Howell: That’s a huge issue for families, particularly. We have a home ownership rate in the country that is 65% now. But that means you’ve got a lot of people that are still renting, and eviction is an incredibly disruptive process that has larger implications for schools, and for individual kids and families, for jobs, and for transportation, not just for housing. Sarah McConnell: It’s been called a nationwide eviction crisis. Why crisis? Are there more evictions now than before? Ben Teresa: So by crisis I think we mean that the effects are intensely felt by people and it’s been sustained for at least 10 or 15 years now. Sarah McConnell: How have we learned just how big the eviction rates are? Kathryn Howell: Sure, Matthew Desmond, who is a researcher at Princeton University, released a most comprehensive nationwide dataset of evictions that we’ve seen so far. Other places have done this on a smaller scale, particularly in the Bay Area of California. But this was really the first time we understood the scale of what was going on, and that it wasn’t just a small thing that happens in some places, but it’s nationwide, as Ben said. We also found internationally the rate of eviction is around 3%. But in some places, you see much higher rates. So for example, the city of Richmond’s sustained rate over the past 16 years has been about 11%. You see that pop up in places like Atlanta and North Charleston, South Carolina. But really across the country you see the pockets of high eviction rates relative to the rest of the country. Sarah McConnell: So where there are most evictions, you imagine you have the hugest population of poor people renting homes. Ben Teresa: Right. That holds up to a certain extent. But what we actually find is that the racial composition of the neighborhood is the most influential factor on those eviction rates. Kathryn Howell: We’re not necessarily saying that a landlord is looking at two tenants, one that’s white and one that’s black, and they’re saying, well, you’re out, you’re in. It’s not as simple as that. Some neighborhoods have different types of housing options, and different access to jobs, different access to education. So all of that ultimately plays into this larger conversation about eviction. Ben Teresa: What we’re talking about is access to mortgage credit, the ability to own a home. So that has been historically limited for African American people and families, which meant that they were always more likely to be renters than white people. Kathryn Howell: It’s also things like background checks. African Americans are disproportionately criminalized, so that adds something to your background check. Credit check, likewise. All of these things ultimately shift the kind of housing options that are available. People are getting shunted into less desirable housing options in less desirable neighborhoods. That disproportionately falls on African Americans. Sarah McConnell: The two of you have created something called the RVA Eviction Lab. The Eviction Lab analysis of these rates for the Richmond area in Virginia. Did you do this after you were startled by the eviction rates that were exposed by the Princeton Eviction Lab? Ben Teresa: Right, so in order to inform any kind of changes in laws or policies that would reduce evictions, we needed to know more about why evictions were happening and how they were happening. Kathryn Howell: Because that’s the only way you can really start to look at the policy levers and change really what’s going on. It’s not as simple as: people just can’t pay their rent. If it was that easy, I’m sure we would have solved it years ago, right? But there is more to it than that. It can be anything from medical bill that sets their entire budget off, so it means that you miss a rent payment, and that starts a chain reaction of things. It can be a car breakdown, as I said. The one bad day idea that really ultimately blows your budget. Kathryn Howell: Yeah. That’s one that sticks with me. The other one for me is the difficulty of them finding housing the next time. The woman that I interviewed talked about that. She said, “It’s as bad as having a criminal record.” That sticks with you. You can’t get housing in the next space. So the cascade of housing instability is what I think, to me, has been a really alarming. Sarah McConnell: Who is doing most of the evicting? Is it a sort of mom-and-pop who have a couple of places and they are letting people go or booting them? Or is it larger corporations that run giant apartment complexes? Ben Teresa: So a large share of all the evictions come from a small set of landlords. There is no question about that. We know that corporate landlords, so larger scale landlords that own tens or even hundreds of properties, evict at higher rates than smaller landlords. We also know that landlords that are corporate, that are tied to larger investment firms, financial Wall Street type firms that back these landlords, that they evict at even higher rates. So it is a matter of: who is the landlord? Who is the owner? Who is financing? Because that really alters the role that eviction plays in landlording as a business. Sarah McConnell: Are we also finding the states that have the cities with the highest eviction rates are states that have laws that favor landlords over tenants? Kathryn Howell: Yeah, I think that’s definitely a trend that we’re seeing. You see cities that have improved tenant protections or better tenant protections, whether it’s a right to counsel or general sort of information, different timelines, we find that the eviction rates are lower. A report came out, I believe this week, about New York– when it introduced the right to counsel, which has dropped their eviction rate significantly in New York City. So the more information tenants have, the more equal playing field they have. That tends to reduce the eviction rate. Ben Teresa: It’s a complex situation in New York City because landlords and real estate is extremely powerful. So I don’t want to suggest that renters are in a strong position, vis-a-vis landlords in New York City for a variety of reasons. But it is the case that there are more protections for renters in New York City. So one of the hallmarks of these protections is that we see that renters are able to stay in their housing for longer period of time, and that would be the case not just in a place like New York City, but I suspect DC. But we often, sometimes, criticize renters as being transient. One of the best things we can do for that is to put into place renter protections that would actually allow them some stability of tenure. Kathryn Howell: Why would you invest in your neighborhood if you know that you’re not going to be able to stay? If there is no way that you’ll be able to stay beyond a year? A lot of my research has been in DC, and you get people who have been displaced so many times that they just expect to have to move, in spite of the tenant protections that happen in DC, which are actually fairly robust. At the same time, I interview tenants who have lived in the same unit for 42 years, not just the same neighborhood, not just the same building, but the same unit. These people are very invested in their neighborhoods. I talked to a woman this past week who had been in her building since the building was built in 1972. There are really stable renters, but you have to facilitate that somehow, because home ownership can’t be the answer for everybody. Ben Teresa: We have, pretty much, in this country, completely forfeited the idea of public housing as playing a role and playing a part in the solution here. So while we should acknowledge the real problems, historically, that public housing has in our cities, there has to be a role, there is a role, for public investment in housing. It’s not just a housing of last resort. What we have seen since the 2008 financial crisis is a growing share of renters in the United States, who are increasingly squeezed by unaffordable rents. So that public housing, a public option for housing, a public investment in housing, can benefit more than just the very poor. That it can actually provide something that market housing, with or without rental protections, cannot. Sarah McConnell: That’s so true. There was a sea change after the market crashed. So many people, young, or poor, or otherwise said we have to or want to turn to renting instead of buying. Of course, there was also this sort of period after urban renewal, when everybody thought public housing is the way to go. That’s been really discredited. So how to think of public housing in a more uplifting way where we’re not crushing the souls of people, but giving a leg up during either transition or need. Ben Teresa: Many of the failures that we know from public housing in terms of their destructiveness of existing neighborhoods, in terms of racial segregation, and neglect, a lot of those stem from problems that public housing was always structured by the private rental market, and by private real estate interests. So even though it was public housing, it was relegated to certain parts of the city, it wasn’t provided the resources in terms of the meeting the cost of operating those buildings. So I think we need to be clear about why there were the failures of public housing that there have been. Sarah McConnell: Have you seen one city or one area where they’ve managed to scale up affordable housing and make it appealing and workable to the people who live there? Kathryn Howell: Yeah. You see it in places that are investing significant funding in affordable housing, and they’re investing it in even ways across their city. They’re not putting all of their affordable housing into the poorest communities, but they’re starting to really say, okay wealthy communities, you need to have your fair share. I think that’s actually been very effective. But again, it takes investment. We have, in the city of Richmond, a million dollars in our trust fund just up the road in DC, which is only three times the size. They have 100 million every single year. A million dollars is about, I don’t know, less than 10 units. It’s couch cushion change, right? So really, if we want to solve this problem, we can’t put a small scale solution to what is actually a large crisis, and has been a large crisis building over time. It’s not changing. Sarah McConnell: What are other steps that people are contemplating that would help lower eviction rates? Kathryn Howell: Well, I think one of the exciting ones to think about is the recent Medicaid expansion. So we’ve had some research come out nationally about the impact of Medicaid expansion on eviction rates. It actually decreases the eviction rates. What the Medicaid expansion does is actually makes your medical expenses more predictable. You aren’t going to get a $20,000 bill that you have to sort of try to pay off over time. You’ve got insurance that you can go to the doctor, you can get your medicine filled. You don’t have to pay out of pocket when you have to take your kid to the pediatrician because they have the flu. Ben Teresa: So I think what we’re talking about is that there is things that can be done to reduce evictions, and then there is things that can be done to reduce the causes or address the causes of evictions. Sarah McConnell: I see what you mean, because reducing the evictions is a little bit of a bandaid step. What you want is for people to feel enough secure that they have housing, they have shelter they can count on, job that they can depend on, and a livable life. Ben Teresa: That’s right. This crisis has longterm cyclical effects that increase economic and political inequality. So what I mean is you’re not able to organize politically if your community is destabilized by high eviction rates, if you yourself are being displaced, and don’t have, as you said, a shelter, a decent home, to know that they’re safe and secure. That is going to demobilize people politically. If you’re demobilized politically, then you’re not going to be able to address these underlying causes. Sarah McConnell: You can’t elect people to the positions of power where they can designate money for more secure housing. Kathryn Howell: You can’t even get it together to get everyone to show up at a council hearing to say, hey, this is wrong, or this is right and we support this. So even the small scale things, where showing up to community meetings, it’s awfully hard to get that together when you’re still sort of trying to keep your house stable. I think if we take evictions down to what really is the problem, and I always tell my students this, I’m like, okay, what are we actually upset about? What we’re actually upset about is housing and stability. What does it mean for a family? What does it mean for a community? Quite frankly, what does it mean for the city and the region? At the end of the day, we really have to take a step back and realize what is actually bad about evictions. That is that it causes immense instability. Sarah McConnell: Why should people who have stable housing care about whether a minority of their fellow citizens in a given city or community don’t? Ben Teresa: Yeah, great thing to think about. I think that what the last 10 years, since the 2008 financial crisis have shown us: that you may think you have stable housing, but for a lot of people, the financial crisis demonstrated that they really don’t. So just because you think that you are protected, you may have more in common with people who are being evicted, or in common with the people, but in common with the problems that are producing that unstable housing. Sarah McConnell: Ben Teresa and Katheryn Howell are professors at the Douglas Wilder School of Government and Public Affairs at Virginia Commonwealth University. Sarah McConnell: Coming up next, access to credit for some, but not all. Sarah McConnell: Redlining is the practice of systematically denying services, like banking and loans, and even grocery stores, to certain neighborhoods or communities based on race. A recent study found redlining is happening on or near American Indian reservation. Valentina Dimitrova-Drajzl is a professor of economics at Virginia Military Institute. She joins me to talk about her findings. Sarah McConnell: Valentina, you and your colleagues looked into something that is aggravating already terrible economic conditions on Indian reservations across America. What was that? V. Dimitrova-G: Access to credit. Credit facilitates transactions. It makes sure that you have some protection against risk. For example, if you have a medical emergency, or if your car breaks down, or if the government shuts down and you don’t get a paycheck. You do not have anything to rely on to get access to funds. Sarah McConnell: So how did you determine this? How did you find out that people who are living on or near reservations across America were really distinctly lacking access to credit? V. Dimitrova-G: We started out by looking at a study done in 2001 that there is a scarcity of banks, financial institutions, on or near reservations. American Indians on average have lower credit score, and they have lower access to traditional banking. So we started researching individuals’ access to credit through a database that Equifax, one of the main credit bureaus, has put together, and what we found is that the racial composition of the geography actually had a significant effect on credit limits. We looked at individuals who lived on reservations or near reservations. Sarah McConnell: How many states were represented? V. Dimitrova-G: Washington State, California, New Mexico, Arizona, Minnesota, South Dakota, North Dakota are some of the states that were represented. Sarah McConnell: What did you conclude? V. Dimitrova-G: Our findings seemed to suggest that there is what’s called redlining. Sarah McConnell: So what exactly is redlining? How do you see that? V. Dimitrova-G: Yeah, so redlining is the practice of giving either less credit to people in a particular geographic region, or giving them more credit, but with worse terms. Let’s say you charge them higher interest, you have more fees. Even though somebody might be credit worthy, simply because they live in an area that is predominately a particular race, they might be denied credit. I think of it as a geographic discrimination. It’s not a discrimination based on your individual race, but it’s based on the characteristics of the majority of people who live in your zip code, for example. Sarah McConnell: Who would do the redlining? These would be employees of banks that are nearby? V. Dimitrova-G: Correct. So whether it’s employees of banks or the banks purposefully decide that they would not give as much credit to people in particular zip codes, for example. Sarah McConnell: Couldn’t they be doing that because they said, hey, our experiences, these people are constantly defaulting, let’s not even do it? V. Dimitrova-G: So what our research is is it actually controls for that. It controls for the fact that some people might be less creditworthy or they might have some history of filing for bankruptcy or defaulting on their loans. We found that even if people had good credit history, they would still be, on average, getting lower credit limits if they lived in areas that had a higher percent of American Indian residents. Sarah McConnell: Why do you think that was happening? Do you think that was just a longstanding practice from more overtly discriminatory days that had carried over until now? Sarah McConnell: With African American communities? V. Dimitrova-G: Yes. African American communities, and actually the practice refers back to this idea of taking a map and drawing a red line around a particular region, and essentially saying we’re not going to give loans to people in this particular area, because we believe they’re going to default, even if this is just purely based on prejudice and bias. There have been a lot of measures sort of taken over time to ensure that everybody has equal access to credit, irrespective of their race or national origin. But it’s very difficult to ensure that this type of discrimination doesn’t happen. Sarah McConnell: If redlining is against the law, but it’s happening on these reservations and near them, what’s the remedy? V. Dimitrova-G: One of the things that has taken off in the past 15 years is something called community development financial institutions. They usually open in areas that are underserved by traditional banks. They usually understand the culture of reservations, and they’re really specifically focused on building financial literacy and building credit histories, so that then they can allow residents of reservations, or near reservations, to build credit and be able to go and use credit from traditional banks. Sarah McConnell: It interests me that you grew up in Bulgaria, and did so much of your early research on the forms of government following the collapse of the Soviet Union in the Eastern Bloc countries. How has that, do you think, influenced your ability to see what’s happening on Indian reservations in America? V. Dimitrova-G: Yeah, I think that my experience in Bulgaria has showed me how important culture is in economic development, and how important it is for us to consider the cultural context of a country, or reservation, or state for the policies that we enact. So for example, in the context of American Indian reservations, a lot of the policies that have been in place took away some of the legitimacy of governance on reservations. So they led to worse governance, they led to lack of trust, they led to increase in crime on reservations, because people did not trust the law enforcement. They did not trust state courts. V. Dimitrova-G: The state courts imposed an American paradigm, which is very adversarial. It’s the idea that you go to court, and there is punishment. That the only focus is really on punishing the person who has committed a crime, while in the indigenous paradigm, there is so much focus on community and restorative justice, which is really more focused on harmony. So what my Bulgarian experience sort of guided me toward is this idea of being very aware of the importance of context in culture and norms, social norms. That when we think about economic development, we cannot be thinking about it without thinking about people’s mindsets. Sarah McConnell: How did you see that in Bulgaria? V. Dimitrova-G: So Bulgaria was a socialist country until 1989. In 1989 the Berlin Wall fell, and then Bulgaria started to transition from socialism to capitalism, or this idea of a market economy. Bulgaria had no memory of a market economy, right? There was no private ownership before socialism, before World War II. So people had a really hard time understanding what the right approach was to transition, and how to build institutions that would support a market economy. How do you make sure that the courts function in a way that makes it easy to resolve disputes? How do you make sure that people understand democracy, and how democracy works, right? These are all things that take a long time to develop. In the case of Bulgaria, we went from a socialist system to a capitalist system overnight. Sometimes you might want to have a gradual transition, or you might want to really carefully evaluate people’s mindsets, and people’s memory, and people’s historical experiences before imposing a path of development that might have worked somewhere else. Sarah McConnell: It’s so interesting that that helps you see what’s happening within America on these reservations. Sarah McConnell: Well, Valentina, thank you so much for sharing your insights today on With Good Reason. V. Dimitrova-G: Thank you so much. Sarah McConnell: Valentina Dimitrova-Grajzl is a professor of economics at Virginia Military Institute. She was named a 2018 outstanding faculty member by the State Council of Higher Education for Virginia. Sarah McConnell: This is With Good Reason. We’ll be right back. Sarah McConnell: Welcome back to With Good Reason, from Virginia Humanities. January’s shutdown of the government was the latest in a series of blows endured by America’s civil servants. Few of us comprehend the scope of federal government’s services, from protection of the nuclear arsenal and the electric grid from terrorism, to food safety, storm warnings, school lunches, and the rural anti-poverty programs. With Good Reason spoke with Michael Lewis about his newest book, The Fifth Risk. It’s a fascinating account of how federal government agencies have fared under the Trump Administration. Michael Lewis is the author of many best selling books, including Money Ball, the Blindside, Liar’s Poker, and the Big Shark. Sarah McConnell: Michael, what shocks me about your books is the feeling that we’re hollowed out. The federal government is sort of coasting on fumes. If you think about how many people have left, and how is or is not even running at the very top levels. Michael Lewis: It is incredible, and it’s incredible how sort of indifferent the public seems to be to this. That you’ve got half of the top 700 jobs that Trump is supposed to have filled not filled, that you’ve got 20% of the senior civil service having quit in the first year. That you’ve got the people who are there, not having actually ever been briefed by the former administration about the civil service. It’s as if a group of people came in an assumed it sort of ran itself, when their job is to run the thing. Sarah McConnell: But doesn’t it actually run itself? Don’t we have thousands of civil servants who know how to do the job, whether the political appointees come in and know their stuff or not? Michael Lewis: Our federal government does not run itself. It’s not like the British civil service. The president, the new administration is supposed to make 4,000 appointees. Essentially, the top level of management in the government. While yes, there are civil servants who can kind of get by for a while without direction from the management, there are a couple of things they can’t do. One, they can’t implement anything new. Two, if some crisis happens, they really aren’t well suited to be managing the crisis, because their authority is limited. They’re supposed to be directed by the president, the president’s political appointees. Three, there is this general feeling that if the managers are indifferent to the enterprise, what is that going to say to the people who are working in the enterprise? I mean, and this isn’t purely a problem of Trump. This has been in this society, I think, neglect, or misunderstanding of the federal government for a long time, because it’s bene used as kind of a political whipping boy. Sarah McConnell: So the system that we have that we’re all aware of is that every four years, a new president comes in, or every eight years, and there is a transition of power. But actually there is an elaborate protocol for what happens at all these vast federal agencies. Michael Lewis: It’s not even a protocol. It’s legally required. The nominees of the two major parties, from the minute they have the nomination, are required to build transition teams. The idea is you assemble hundreds of people who are qualified to go into the Department of Transportation, the Treasury Department, the State Department. The day after the election, start to take on board whatever it is they’re working on. So on the other side, the Obama administration, or whoever it is, is required to prepare to brief these people. Because Bush had handed the government over so cleanly to Obama, Obama was really grateful for it. He basically said, we’re going to try to do this and do it even better. Michael Lewis: They had 1,000 people work for six months, essentially creating the best course that’s ever been created on how the government works. These aren’t ideological things, it’s sort of like if you’re in the energy department, how are you managing this huge nuclear waste cleanup? Or if you’re in the Center for Disease Control, how did you handle the Zika virus outbreak? It’s sort of like practical management things. You may disagree with how we did it, but you kind of need to know how we did it. Well, what happened in this case, it was unprecedented. The Obama administration is sitting there waiting for the Trump administration the day after the election. Literally waiting. Parking spots set aside, conference room set aside, briefing books opened. Nobody shows up. Nobody shows up that day, that week, that month. In many cases, still, nobody has ever showed up. To the point where I went and got briefings that still had not been given. That I was the first person to hear the briefings. Sarah McConnell: When you say people were waiting, waiting where? Michael Lewis: Throughout the government. So in the Department of Energy there are teams of people, in the Department of Agriculture there are teams of people, and the Department of Defense there are teams of people, in the Department of Treasury, the Department of Commerce, the Department of Interior, the Department of Health and Human Services, the Housing and Urban Development. So you’ve got these people just sitting there, twiddling their thumbs, wondering where the incoming administration is. The reason they hadn’t gotten there is that the day after the election, Trump fired his entire transition team. Michael Lewis: It was more haphazard than that. Christie read in the New York Times that there had to be this transition team. He read the name of the person who the Trump campaign had sent to the meeting. It was someone who knew nothing about government. So Christie thought, ah, maybe I’ll manage the transition. So he went to Trump and said, “Let me run this for you.” Trump says, “I don’t want to pay for that. I don’t want there to be one.” Christie says, “You don’t understand. You have to. It’s the law.” He said, “Screw the law,” basically. What he was worried about was that it was going to cost money. Sarah McConnell: So Christie said, “Don’t worry about it, I’ll raise the money, I’ll set up a transition team for you.” He was great at it. Michael Lewis: He was very good at it, I think. Not only raising the money, but finding the right people who are qualified to receive the briefings of what was going on now. There is another thing. See the other function they perform, and this was crippling to the Trump administration when Trump fired them all, they had essentially vetted people for the top couple of hundred jobs in government. They had vetted out people like Micheal Flynn, because they knew he had problems with Russia. They discovered all of the problems and said, “No, you actually can’t appoint him, or you can’t appoint her.” So the idea was that it would expedite Trump filling the jobs with people who were qualified, and who didn’t have conflicts of interest, who didn’t have some other problem that would impede their Senate confirmation. Michael Lewis: Well, so what happens is there are these hundreds and hundreds of people sitting in offices in Washington waiting to get the briefings from the Obama administration. Steve Bannon calls Christie into his office in Trump Tower, up in New York and says, “You’re fired.” Christie says, “Who is firing me?” He says, “I don’t want to talk about it.” Christie says, “If you don’t talk about it, I’m going to tell everybody you fired me.” He said, “The kids fired you, Jared Kushner is firing you, wants you fired.” That was no surprise to Christie, because Christie, back when he was a US attorney in New Jersey, he had put Jared Kushner’s father in jail for tax fraud. Michael Lewis: Kushner went to Trump and said, “You don’t want him in the transition.” Now the bigger story of all of this is why let Chris Christie run this thing in the first place if all you’re going to do is fire him if you win? It seems pretty clear that the reason is that Trump never planned to win. He didn’t want the transition at all because it was pointless, because he was never going to be President. But if someone’s gotta’ do it, let Christie do it because it doesn’t matter. Sarah McConnell: So when they fired Christie, did they say thank you very much, your services aren’t needed. Now I’ll take the 4,000 names that you vetted and look through those? Michael Lewis: Great question, because they didn’t. They fired everybody. Then they took the briefing books that had the names of people who they had vetted and threw them in the garbage can. Sarah McConnell: Who did they get instead, and who was doing the picking? Michael Lewis: Well, then it’s chaos, because they don’t know anybody, they have offended everybody. Trump has basically said, “Anybody who wasn’t pro-Trump right from the beginning, anybody who expressed any misgivings about me, I don’t want around.” That of course eliminated not only all the Democrats, but also all the Bush people, anybody who knew anything who didn’t want this guy in. So Trump himself sort of cast his cabinet very whimsically. So Rex Tillerson, who he’d never met, he says he kind of looks like a Secretary of State, he can be Secretary of State. He did that way. He didn’t pick people based on their qualifications. But he didn’t staff the government. He staffed the cabinet with people who, many of whom were unsuitable for the jobs and many of whom are now gone. But he didn’t go beyond the cabinet. Sarah McConnell: I assume that every president makes some bad choices. Was it any worse with this president? Michael Lewis: Much, much worse. It’s true that there are jobs in the government, especially these ambassadorships that are regarded as just political plums, treats for the people who supported you. But that’s not true of many, many jobs in the government. All you’ve got to do is look across the government and say, look is there before and look who replaced them. Department of Energy, the Department of Energy is a terrifying place in that it manages all of the nuclear weapons and nuclear waste sites. It’s a place where lots of bad things could happen. You really need to know something about science. The outgoing Secretary of Energy was Ernie Monese, who is a nuclear physicist, who is head of, I think, the head of the Department of Physics at MIT, and actually a gifted manager. Michael Lewis: He was replaced by Trump with Rick Perry, governor of Texas who called for the elimination of the Department of Energy in a presidential debate, without being able to remember its name, without knowing anything it did. He confessed all of this when Trump made him the Secretary of Energy. He apologized and said, “I didn’t have any idea what it did.” The people inside the Department of Energy I spoke to said that he didn’t bother to get briefed on a single program, and that his approach to the job was kind of to be a sort of cheerleader. Michael Lewis: The Department of Energy runs this network of labs, like Las Alamos, and Scandia, and Laurence Livermore Lab. He goes and visits places, and tweets about them. But there is no sense that he is engaged in any meaningful way with … And he’s not capable. I mean, this is not … Some of this stuff is really complicated. The Department of Energy’s secretary, Ernie Monese was at the table negotiating the Iran nuclear deal, because you needed someone who knew what was required to build a nuclear bomb to determine whether the Iranians now wouldn’t be able to. But this is Rick Perry, you look around the government, and the level of incuriosity about the thing they’re managing is breathtaking. Sarah McConnell: You also mention in some cases people that, new people coming in that the staffers feared would simply just raid the larder. Michael Lewis: Well, there were two things going on that are response to this absence to a sense of mission. Like who does show up to work in that enterprise? Broadly speaking its people with some very narrow interest, something they want to get for themselves out of it. You find, for example, fossil fuels sector lobbyists, oil company lobbyists, going into the Department of Energy and basically hostile to any kind of research and development into solar, or wind, or anything that might be competitive with fossil fuels. You go into the Department of Commerce, and one of the big parts of it is the weather service. That enterprise has been critical in our ability to improve weather prediction. Michael Lewis: The approach until now has been share this data with the private sector. It’s the people’s data, let’s all work on this together to see if we can get better at weather prediction, and we’ve gotten better with weather prediction. We get better at storm warning. Live have been saved because of this. There was one character in the private sector, the CEO of Accuweather, Barry Myers, how has lobbied for decades to shut down public access to the weather data because the harder it is for the National Weather Service to give you a weather forecast, the more you need Accuweather to give you your weather forecast. That’s the guy who wants the job. You see that throughout the Trump administration. The people who want the jobs have some narrow personal interest in the jobs, not some sense of public mission. Sarah McConnell: There was some point where lists were gathered or people tried to gather lists, trying to find out who had supported climate change. Who are all of the employees, who are all the scientists, who supported climate change in any way. Give us their names. Michael Lewis: Yeah, so both in the Department of Agriculture and in the Department of Energy. They are intensely interested in climate change. A lot of scientific work is being done. But the first Trump people who finally came into those department demanded a list of all of the scientists who had attended climate change related meetings. Sarah McConnell: You also write they demanded the names and salaries of the highest paid science labs, and deleted contacts for all of the scientists there so there wouldn’t be communication with them. Michael Lewis: Yes, and removed lots of data from websites and that kind of thing. Every time you found one of these attempts to either limit communication or limit public information, you could trace it back to some interest. So for example right after the Trump administration took over, the Department of Agriculture removed data from its website, and it was a list of all of the animal abuse cases that had been brought. What’s behind that is a rancher’s association, it’s essentially hostile to animal rights. That was who was there doing it. Sarah McConnell: My guest is Michael Lewis, author of The 5th Risk. His other works are Money Ball, the Big Short, the Blindside, Liar’s Poker, among many others. Sarah McConnell: Did we lose, as a nation, any more people from the federal agencies when this administration came in than we have at past transitions from one party to the next? Michael Lewis: Oh my god, yes. I mean, there is a top layers to the permanent civil service, they call it the senior civil service. A fifth of those people left in the first year. They’re just good people just trying to do their job. I found over and over again, it was breathtaking, the commitment to the country and the mission that these people had. They aren’t, by nature, complainers. By nature, they are not partisan. So the last thing they want to be seen doing is complaining about the new president, or the new administration. What they do is they speak with their feet. They walk. So it has been relatively little carping in the press, but lots of movement inside the ranks of the civil service. Sarah McConnell: There was even one agency that was looking forward to the new Trump people and had set out snacks that they thought these particular people that they thought were coming in would enjoy. They’d gone out of their way to be gracious hosts and were looking forward to the arrival. Michael Lewis: So this is the Department of Agriculture, which kind of tilts, it’s very rural. I mean, most of what it is doing is in rural America. Most rural America went very heavily for Trump. It has a kind of Republican tilt to it already. The first person Trump sent in was actually the lobbyist for Pepsi. So they stocked the fridge with Pepsi. It’s appalling to think they’re sending a lobbyist for Pepsi first into the Department of Agriculture because among other things, the Department of Agriculture manages the school lunch programs and all of that. But nevertheless, they tried to be friendly. It’s kind of like the friendly place. Nobody shows. Then when they do show, they’re showing a spirit of hostility. Sarah McConnell: Why hostile? What do you mean by hostility? Michael Lewis: Well, they asked for the names of anybody who had been involved in climate change research. They removed data from the Department of Agriculture websites. They made a mockery of what the department did by the people they eventually appointed. So for example, this multi-billion dollar science program that’s in the middle of the Department of Agriculture, three billion dollars a year grants that are made to, you know, largely to ag colleges, to do research about how are you going to graze sheep when it’s 10 degrees warmer in Montana? How are you going to grown corn and wheat when it’s 10 degrees warmer in Kansas? Michael Lewis: Research that actually will pay off 20, 30 years down the road when we can actually grow crops in this different climate. The person who typically administers that is an agriculture scientist, usually who has a lot of respect in the field, and knows the field, and has some ability to evaluate the proposals coming into the Department of Agriculture. Trump appointed to run that program a right wing talk show radio host from Iowa who happened to have supported him, who had absolutely no science background at all. That sends a signal to the people who are there that these people don’t respect what we do. Sarah McConnell: Title of this book is The 5th Risk, and it comes from your interview with a man who was the chief risk officer for the Department of Energy. You asked him to identify the top five things that kept him awake at night that he was most worried about. Michael Lewis: Yeah, he had assembled a list of 138 risks. I said, I only want the top five. He says, “Loose nuke, a nuke getting away, a nuclear accident. It’s North Korea being able to deliver a missile to our shores.” He was afraid that the incoming president would not understand the value of the Iranian nuclear deal. Just how sure we were that the Iranians couldn’t develop a nuclear weapon, and would ditch it, and create real nuclear risk in the Middle East. Four was the electric grid, which the Department of Energy, sort of, is the closest thing to a go to place to make sure that it’s not too vulnerable. They routinely bring in the executives of your local utilities and show them, essentially acts of terrorism aimed at the electric grid, and what they can do, and cyber terrorism that is becoming more and more of a threat. If you take away power from, I don’t know, New York City for a month, it’s a catastrophe. Michael Lewis: Yeah, so this was in Silicon Valley. An attack on a power station. It sounded almost like a drive-by shooting. Someone fired some bullets into the transformers. But not only did they do that, they went into manholes on either side, and cut cables. Where they shot into the transformers was exactly where it was supposed to shoot. It was a very professional operation. It knocked out that power station that served Google, for example. It happens to be there was a backup station. So people didn’t really notice it. But from the Department of Energy’s point of view, it looked like practice. It looked like they were trying to establish how you take out one of these things. Both Chinese and the Russians are routinely attacking our electric grid, cyber attacks. So that was his fourth risk. Michael Lewis: Then he sat there, after he listed four, and he said, “Program management.” Which sounded so dull. But it ended up being a catchall for a kind of risk, and it’s this kind of risk. It’s the thing you’re not thinking about, because it’s not vivid, and it’s a slow moving kind of longterm risk that’s being managed by the government, of which there are many. But in fact, has catastrophic potential. Michael Lewis: The specific example he gave was the Handford nuclear cleanup in Western Washington. It’s 600 square miles where in the 1940s we produced the plutonium for the bombs that we dropped on Japan. But it was done so hastily that we poured hundreds of millions of gallons of toxic byproduct, waste product into the soil there. There is essentially a plume of poisonous stuff moving very slowly towards the Columbia River. If it gets into the river, it’s a catastrophe for the Pacific Northwest. The government has been managing this since then. The scope of the thing is breathtaking. Michael Lewis: If you ask the people in the Department of Energy, what’s this going to cost and how long is it going to take? They say 100 billion dollars and 100 years. But the Trump administration approach would slash the budget for this, what is this? You can get away with that if you don’t care about what happens in 30 years, when because of what you did, the plume ends up in the Columbia River, or because of what you did, there is some pandemic 30 years down the road, or because of what you did, some nuclear weapon goes off, or some terrorist gets his hands on nuclear materials. It’s that kind of thing this guy was worried about. Michael Lewis: The government is constantly managing risk that, yeah, if we screw it up, we may not see the catastrophe right away. It may be decades. But you’ve gotta focus a laser on those problems. You don’t have the United States of America without a federal government. A lot of immigrants who are attracted to government work because they come from places where they see what happens when you don’t have a functioning government. How catastrophic it is. The price you pay. They see the importance of the work. I think a lot of the rest of us have gotten complacent about that. We’ve forgotten how important it is. We honor the military. We forget that all of these people who are not in the military are also patriots, and without them, we’re lost. Sarah McConnell: You also said there is so much money flowing from the federal government to desperately poor rural communities, and they’re conflicted about it. They need this money to not be on a par with villages in sub-Saharan Africa. Michael Lewis: That’s right. It is amazing how heavily subsidized rural America is. If you drive around this country, you drive through small towns in the south, you’ll see a fire station. You’ll see a nice schoolhouse, you’ll see power, you’ll see internet access. Virtually all of that is subsidized heavily by the federal government, through the Department of Agriculture. I mean, to the tune of hundreds of billions of dollars. But if you talk to the people at the Department of Agriculture, they’ll say we’ll show up at the ribbon cutting ceremony of the new firehouse, and the mayor please don’t let anybody know you’re here. It just irritates people to know the government is involved in any way. So the government has a marketing problem. It’s not really allowed to sell itself. A lot of what it does is just hidden from the people who are benefiting from what it does. Sarah McConnell: Michael Lewis, thank you for sharing your insights with me on With Good Reason. Michael Lewis: Thank you, Sarah. Sarah McConnell: Michael Lewis is the author of the Fifth Risk. His other works include Money Ball, the Big Short, the Blindside, and Liar’s Poker, among many others. Come to the 25th anniversary of the Virginia Festival of the Book, March 20th through 24th in Charlottesville, featuring hundreds of authors and programs for all ages and reading interests. 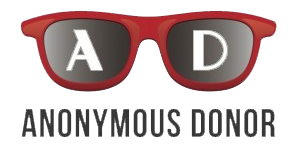 Vabook.org. Sarah McConnell: Major support for With Good Reason is provided by the law firm of McGuire Woods, and by the University of Virginia Health System, using advanced cardiac imaging to better diagnose conditions before they become serious health issues. UVAhealth.com. Sarah McConnell: With Good Reason is produced in Charlottesville by Virginia Humanities. Our Production team is Allison Quantz, Elliot Majerczyk, Kelley Libby, Cass Adair, and Allison Byrne. Jeannie Palin handles listener services. We had help from Sandy Hausman of Radio IQ and Steve Clark at WCVE. For the podcast, go to Withgoodreasonradio.org. I’m Sarah McConnell, thanks for listening.